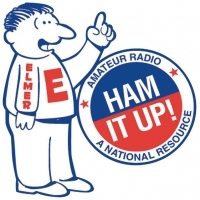 REGISTER AS A HAM INSTRUCTOR TODAY! We would love to have you join our team of Ham Elmers & Instructors! Each instructor will receive the 40-page INSTRUCTOR TEACHING GUIDE that gives step-by-step instructions on teaching the new Technician class materials. You can download this free guide at www.haminstructor.com. For more information, free Instructor Guides, discounts on purchasing Gordo's training materials, and to register as an Elmer/Instructor, please visit our Ham Instructor Website at www.haminstructor.com. NEW INSTRUCTOR CLASSES FOR 2018! If you are teaching a ham radio class, or you are part of a club offering ham radio training, we offer quantity discounts on all of our products. This program is managed by our distributor, the W5YI Group. All of Gordo's Training Materials are sold by leading ham radio dealers throughout the country. From time to time, local dealers may sell out of a specific product, but there is always a full selection availale of all of Gordo's training resources through the W5YI Group website. Ordering is easy, secure, and comes with VERY FAST SHIPPING!